is beyond soft and cozy! I wore this outfit while walking around New York City after the first Reward Style event last Friday. 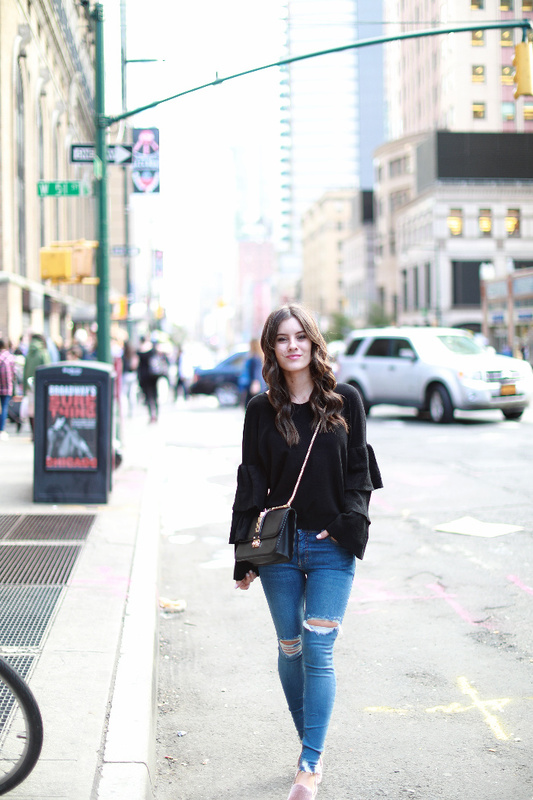 I paired this sweater with these jeans that I got right before we left home and I can't get enough of the rips and hems. They are super stretchy so ordered my usual size, but I totally think I could have been fine if sized up one. This was the third time my husband and I have been to the city together and it never gets old. For dinner that night went to Shake Shack, YUMM... if you've ever ate there, you know what I'm talking about! I wish I had room for a milkshake at the time because I'm totally craving one right now! They are so good! After that, we hung out around Times Square and then around the city to do some minor shopping damage lol! 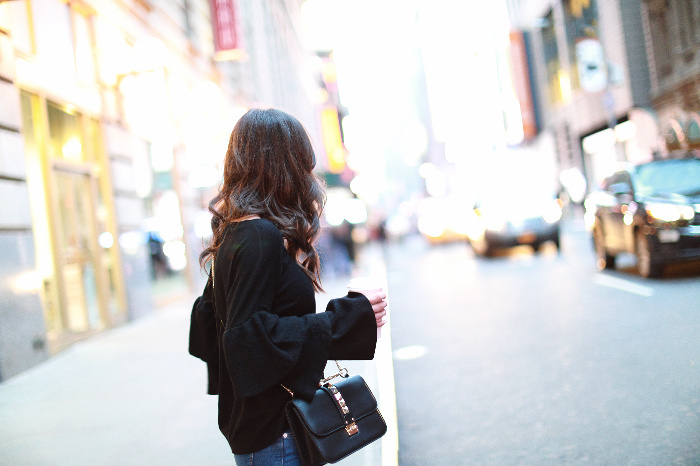 When people say New York is the city that never sleeps, they aren't lying- there's so much to do even late at night. Hope you all are having a great week! What are some of your favorite things to do in New York?